By LUDWIG VON KOOPA - As far as Ludwig is concerned, this whole log is spoilers. Well, I don't have Nintendo's latest console yet. So, I don't have The Legend of Zelda: Breath of the Wild. My only experience with it is last year's MEGA-LOG for Nintendo Treehouse Live E3 2016. Fortunately, Rawk has it, so most of this log is really him. For full E3 Weeks 2017 coverage, see the schedule here! (5:38:06 PM) (rawkhawk2010) What's next is important to my whole family. (5:38:34 PM) (rawkhawk2010) My dad uses Breath of the Wild as a substitute for the wilderness. (5:38:38 PM) (rawkhawk2010) Because there's no wilderness here. (5:39:56 PM) Ludwig Von Koopa: Well you can do a lot of commentary here. (5:39:59 PM) (rawkhawk2010) Pretty sure I ain't gonna be doing a Master Mode. (5:40:07 PM) Ludwig Von Koopa: ...so this DLC is pointless for you? (5:40:17 PM) (rawkhawk2010) This just makes all the enemies stronger and puts platforms in the air. (5:40:30 PM) (rawkhawk2010) They're not to the main thing yet. (5:41:11 PM) (rawkhawk2010) The Trials aren't specific to Master Mode. (5:41:16 PM) Ludwig Von Koopa: Don't have to save bye to your save file. (5:41:39 PM) Ludwig Von Koopa: The Silver enemies are now Gold enemies. (5:41:46 PM) Ludwig Von Koopa: So they planned the DLC from the start. (5:41:52 PM) (rawkhawk2010) Silver Lynels take like five minutes to kill as it is. (5:41:58 PM) Ludwig Von Koopa: By intentionally making the original top tier be Silver. (5:42:16 PM) Ludwig Von Koopa: Aren't people supposed to hate DLC worked on during development? (5:42:33 PM) Ludwig Von Koopa: So isn't that this? (5:42:58 PM) (rawkhawk2010) there are people who think the main game has TOO MUCH content. 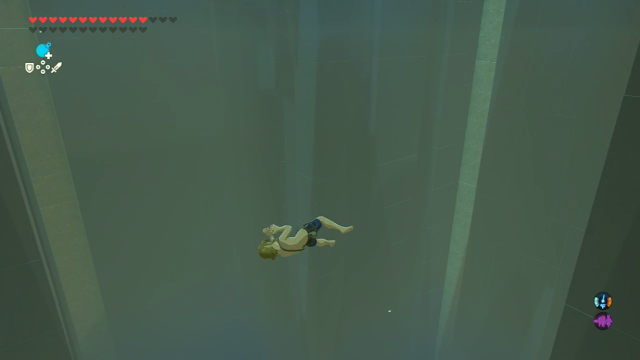 (5:43:34 PM) (rawkhawk2010) I don't understand why this is the sole new feature of Master Mode aside from more difficult enemies. (5:43:45 PM) (rawkhawk2010) It's kind of...random. (5:43:59 PM) (rawkhawk2010) Floating wooden platforms attached to Octoroks. (5:44:11 PM) (rawkhawk2010) Are these players stupid? (5:44:28 PM) (rawkhawk2010) All they had to do was activate Cryonis beneath the chest. (5:44:38 PM) (rawkhawk2010) And the ice would raise it up above the water. (5:44:43 PM) Ludwig Von Koopa: Bill Trinen's favourite outfit is the Tingle outfit. (5:44:43 PM) (rawkhawk2010) Then you jump on the ice and open it. (5:44:56 PM) Ludwig Von Koopa: Apparently Trinen's pajamas are Tingle's outfit. (5:45:13 PM) (rawkhawk2010) I want the Phantom armor. (5:46:27 PM) Ludwig Von Koopa: Korok Mask helps you track down Koroks. (5:46:46 PM) (breezinabout@msn.com) Aren't there, like, 900 of those in the game? (5:46:55 PM) Ludwig Von Koopa: "just a few"
(5:47:39 PM) Ludwig Von Koopa: How are you supposed to know that throwing rocks into a circle of rocks will summon a Korok? This is why Rawk's full attention this E3 turns to every Rawk he sees. (5:48:02 PM) (rawkhawk2010) You learn when you experiment long enough. (5:48:14 PM) (rawkhawk2010) No one tells you, of course. 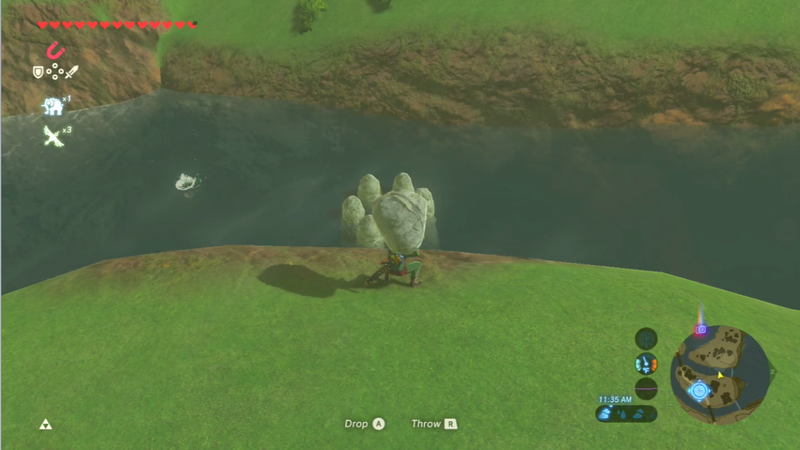 (5:49:19 PM) (rawkhawk2010) I found a Korok by making two trees close to eachother have the same number of apples. (5:49:49 PM) (rawkhawk2010) Probably not the best design, that particularly. (5:50:00 PM) (rawkhawk2010) 1-Up Girl is in the background at Treehouse Live. (5:50:47 PM) (rawkhawk2010) Do y'all think there's a history of sexual misconduct at NOA? (5:51:26 PM) (rawkhawk2010) Re-inserting the Master Sword. (5:51:37 PM) (rawkhawk2010) So this is what's completely new. (5:51:59 PM) Ludwig Von Koopa: I haven't taken any screenshots during this have you? (5:52:05 PM) Ludwig Von Koopa: "His body will be ready, if you will"
(5:52:13 PM) Ludwig Von Koopa: "Link is half naked and has no weapons"
(5:52:55 PM) Ludwig Von Koopa: and it gets even harder in Hard Mode. (5:53:34 PM) (rawkhawk2010) Link still has the Runes. (5:54:44 PM) Ludwig Von Koopa: Lot of salty crying. (5:55:28 PM) Ludwig Von Koopa: "I tried to pull my bow but it doesn't exist"
(5:55:45 PM) Ludwig Von Koopa: Dudes keep using their instruments. (5:55:47 PM) Ludwig Von Koopa: Bullhorns. (5:57:16 PM) Ludwig Von Koopa: "Death to yooouuu and everyone you love~"
(5:58:27 PM) Ludwig Von Koopa: You can jump to later rooms once you unlock them but you start with nothing. (5:59:12 PM) (rawkhawk2010) It's a shrine. (6:00:21 PM) (rawkhawk2010) "they'll be part of MY dlc pack"
You can tell Teresa is new to all this. (6:01:18 PM) Ludwig Von Koopa: "What a monster~ I'm gonna really enjoy killing you~"
(6:03:13 PM) (rawkhawk2010) Those Wizzrobes will destroy you early-game. 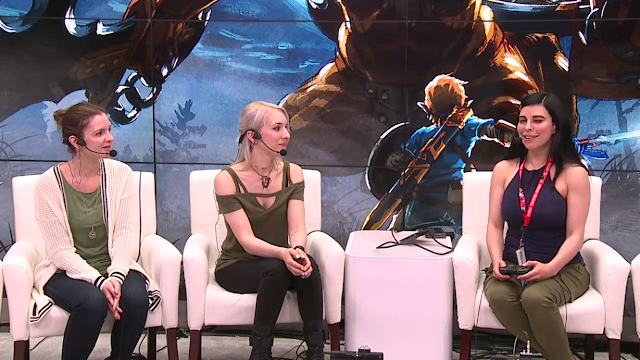 (6:03:23 PM) (rawkhawk2010) "the joy of breath of the wild in general is being dumb"
(6:03:40 PM) (rawkhawk2010) Audrey knows that being stupid is the smartest thing to do. Soon after, Link's paraglider unfolds and proves his flailing histrionics are all for show. (6:05:39 PM) Ludwig Von Koopa: amiibo? 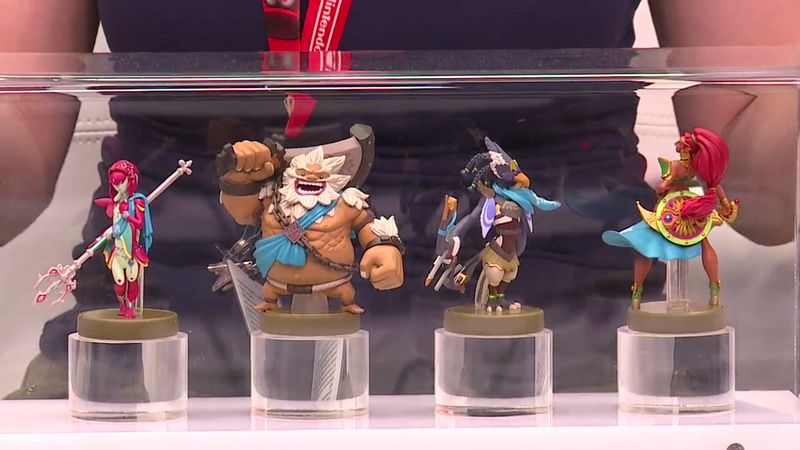 (6:05:54 PM) Ludwig Von Koopa: The champion amiibo. There have to be less lewd ways to attach characters to their stands! (6:06:31 PM) Ludwig Von Koopa: DLC Pack 2 called "The Champions' Ballad"
(6:06:44 PM) (rawkhawk2010) people think you'll be able to play as the champions. (6:07:04 PM) Ludwig Von Koopa: Don't summon Rabbid Kong! That next game seems really big, right? It's not, but that's okay. KoopaTV is all alive for the next log (as far as the present staffers know). You should be too. Photo credit for all of the pictures in this article goes to Rawk. The log before this was on Miitopia and it's not really worth your time. The log after this is that NEW game. Don't get... too hyped, though. Just hungry.